Braunlage is situated in the center of the Harz. All local attractions are within easy reach from our Hotel. 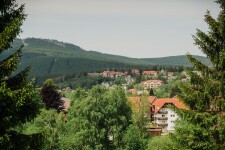 The nearby "Wurmberg" the highest mountain of the state of Niedersachsen, is in walking distance from our Hotel. Just around the corner from our Hotel is the "Hasselkopf" mountain with an own Ski Lift in winter. 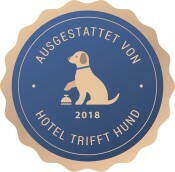 Our Hotel is situated in the street name "Schützenstrasse" and we are within the souther region of the city of Braunlage, just opposite of the ARAL petrol station and the local shopping and grocery center. The bus terminal is just opposite from our street "Schützenstrasse" and within 2-3 minutes walking distance only.